On a shady site near the farm. Damien and Betty will help you explore the attractions and activities of the Haute Vallée de la Drôme. On banks of Le Rif (a stream), near Le Claps (rock climbing) and the Saut de la Drôme (river cascade). 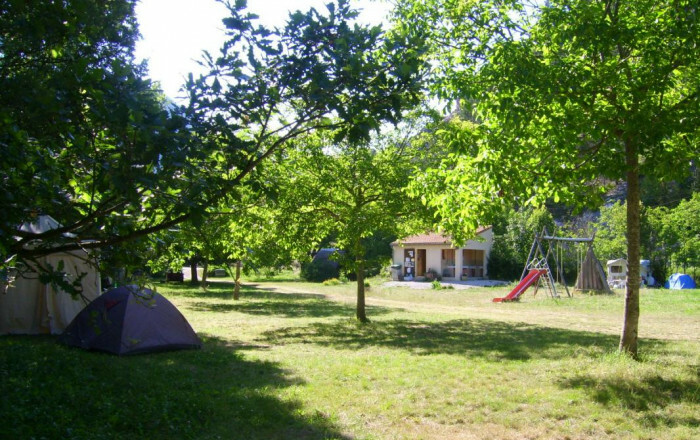 Farm campsite (5,000 sq. m.) with 6 pitches and power points. Toilet block: 2 washbasins, 2 showers, 2 WCs. For hire: 2 caravans (one for 2 people, one for 4 people). Farm produce on sale. Pets allowed (extra charge: 0.5€).